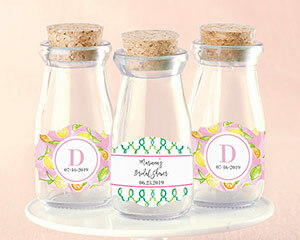 Versatile and charming, personalized milk jar favors are a great complement to your Cheery and Chic décor. 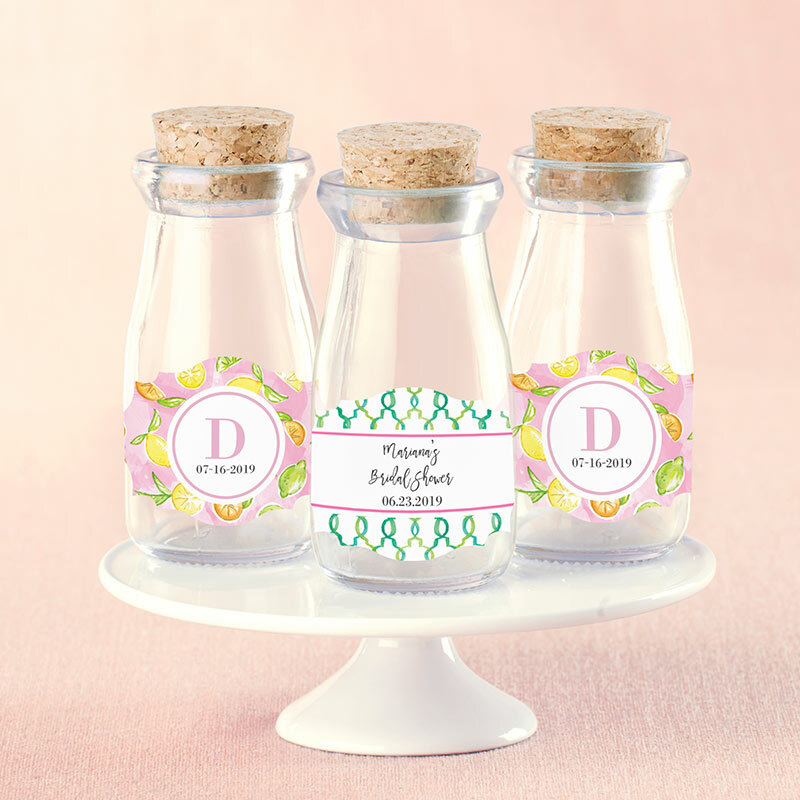 Whether you choose to use them for décor or to hold small treats, our designs are sure to add an extra layer of fun to your wedding, bridal shower, baby shower or birthday celebration. Choose between a green trellis print with pink accents or citrus fruits on a pink watercolor background. Both designs incorporate customized text—the trellis print allows you to add up to three lines of text and the citrus print provides space for two. This customization can be as simple as a monogram or incorporate a short message.